There are many ways to speed up and secure adoption of cloud. And it is not just about cloud computing, it is about all new forms of information technology deployment. In my belief, nothing beats a competent team. There is no substitute for knowing and understanding your stuff. Cloud is about outsourcing to external providers, but no external provider will take responsibility for the actions of your company. Your company will have to take that responsibility. Cloud adoption is a team sport for qualified players. 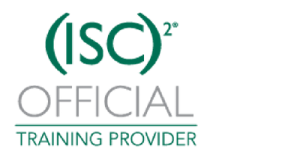 You get qualified by understanding a common body of knowledge such as the Cloud Security Alliance’s CCSK, or (ISC)2 CCSP. I help you and your team to get qualified. Read on for the options. CCSK is the mother of all individual cloud security certifications. Get it from the comfort of your home or office. No travel required. Five days of two hours online instructor led. Recordings available, extensive e-learning and chat support. Read more here. The CCSK classroom is a three day interactive experience where you will mix theory, practice and labs. An excellent preparation method, with lots of interaction with other learners. The labs actually learn you how to secure an Amazon Web Services (AWS) environment. Also available in-company. Read more here. Companies that want to speed up their cloud adoption need agile teams. Secure cloud adoption is a team sport. My experience is that the value of team training far exceeds the sum of the value for the individuals. In the cloud adoption team program, we not only work on individual skills, but also on adoption processes, and implementation of those skills in those processes. Read more here. If you are a small company, you still need to adhere to the General Data Protection Regulation (GDPR). But you don’t need to hire a team of lawyers. Just sign up for my program. I have been going through this myself, so follow my lead. As a side benefit, this will actually help you protect better against IT risks. Read more here. If you run a startup, your first job is to create a minimum viable product. But once you have your first customer, your scaling startup needs to demonstrate its IT security competence to investors, customers and partners. Soon, you will need a formal IT risk certification. In the meantime, I will quickly help you show that you are on your way. Read more here. Free ebook on the first steps to cloud security. Read more here. Understanding CCSK (not a full course). Free through this link.